Home sales prices in the Metro Denver area have sky rocketed in the last few years, but that doesn’t mean you should have to pay more. Keep your equity where it belongs – in your pocket!!! When I became a residential real estate agent back in 1996, things were quite different and very time consuming. When people inquired about buying or selling, I would have to get on a dot matrix printer and do the research. No pictures, just a dot matrix print out of homes out there. This was not even on a computer screen, but on the printer with a spooling system. At the end of my session, I would take all the pages I accumulated, use scissors to fit 3 to a page, photocopy them so they could be faxed and then fax the information off to the buyer / seller. Needless to say this was an exhaustive process. And, there were the old MLS listing books which were about 1/2 the thickness of phone books, but they had at least 1 black and white picture of the exterior so they were in high demand. Everyone that I was working with wanted one, so I would have to round them up and get them delivered to buyers or sellers – a lot of driving, but ultimately worth it. To create a brochure of a home, I took a photo of the exterior with my 35 MM camera, went to the 1 Hour photo and had 30 pictures made. I then used a version of Microsoft Publisher to write the ad copy and finally, I attached 1 color exterior picture to the brochure using a glue stick. On top of all of the new streamlined efficiency that the internet has afforded us, there has been a huge proliferation of real estate brokerage firms that offer real estate agents the ability to conduct business for a fraction of the cost that it previously has been. I am settled in a firm where my overhead has been drastically cut allowing me to pass these savings on to you. Finally, I work alone. I am involved in all aspects of the real estate sale and am a hands on agent. What this ultimately means is that I don’t have employees to pay so the money I save, I can pass along to you. 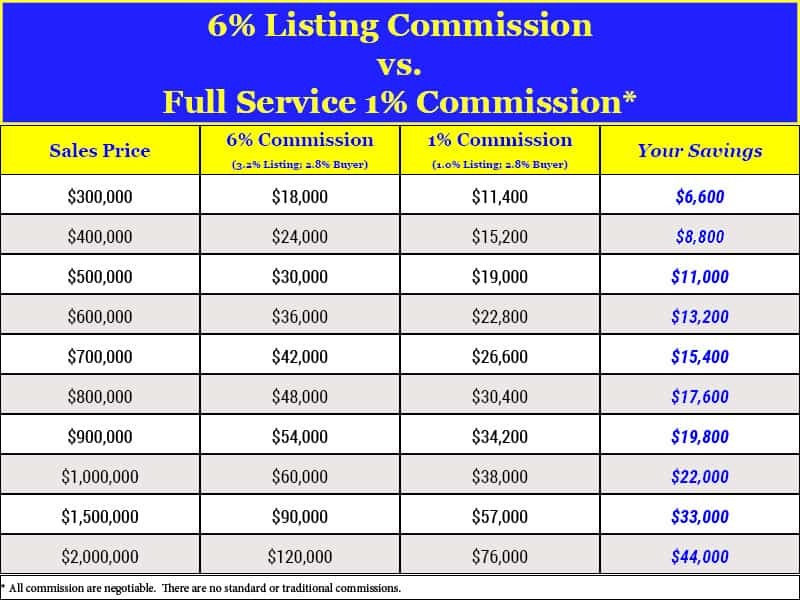 Take a look at the chart below to see the savings that you will receive versus a real estate agent who charges 6%. In my mind, this is the #1 service I offer even though it may not technically be considered a service to all. When you are involved in a transaction, things happen quickly and you need information to make decisions. I understand this. If I don’t answer my phone when you call, I will get back to you typically within the hour. Or, I will send a text letting you know when I am able to get back to you. I pride myself in being reachable and don’t want to add to any stress levels by leaving you in the dark. Before we start talking about pricing, I will customize a market reports page for your home in your neighborhood. What this will do is let you see the average sold prices, the average per square foot prices, and the average days on the market that it is taking for homes similar to yours to sell. This will be customized to the style of your home, the size, etc…, so that we have a good selections of comparable properties to view. Below all of this information, there will be links to all active, under contract and sold properties. 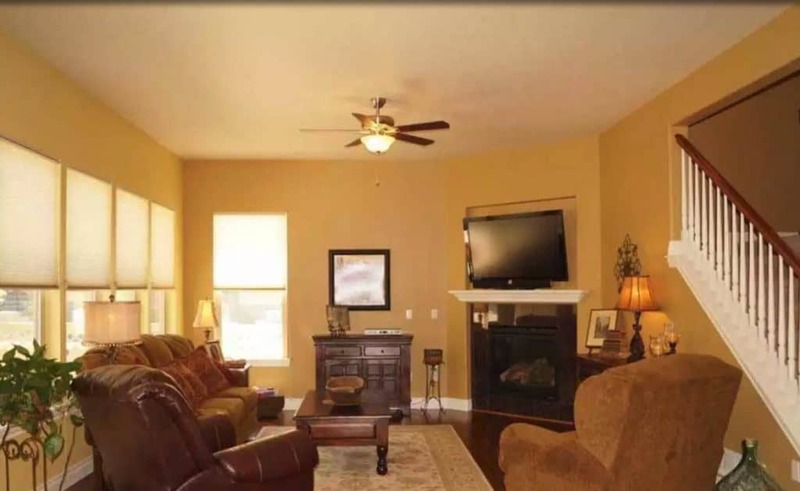 This allows you to click on the link of a particular address and see all information related to this property and pictures that were provided. In essence, you become wiser about all things real estate in your particular neighborhood. This pre-listing meeting is a great benefit. 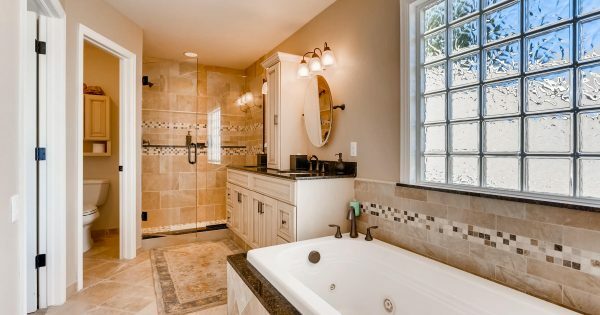 Before I conduct a Competitive Market Analysis (CMA), I like to walk the home and get a feel for all of the upgrades and love that you have put into your home. While doing this, I will comment on what I believe needs to be done to get the home in what I call “showing shape”. Should I get rid of some furniture in this room?, add furniture to this other room?, paint?, upgrade this?, repair that? and a multitude of other things can happen during this walk. By getting your home in “showing shape” makes the pictures of the interior pop and that helps compel people to want to take a look. Ideally, you want to put your best foot forward (i.e. have the house shine) when you put your house on the market. This walk will go a long way to getting you there. Within a day or two (faster if necessary) of the pre-listing walk through, I will provide you with a comprehensive market analysis of your home and let you know at what price I believe your home will sell. This is very detailed usually running in the ballpark of a 50 page PDF report. Before you put your house on the market, don’t you want to know how much you will walk away from the closing table with if you get ‘X’ price? While this can never be 100% accurate due to not knowing the exact day of closing, I will be very close depending on how everything shakes out with the inspection, title report and appraisal. Let’s take the CMA one step further to help us determine the best pricing strategy for your home. Here we will put ourselves in the shoes of potential buyers and view your competition. Depending on market conditions, we will hope to see 4-6 homes (this will vary based on available inventory). We will use this information to really hone the price for your home. Depending on the age of your home, there are between 8-12 different documents that need to be signed prior to your home being put on the market. I will walk you through them so you have a solid understanding of what you are signing. This can be accomplished in person, or on your computer (see #8 below). I subscribe to a service called CTME contracts. This allows me to email all contracts and then go over them on a computer, laptop, tablet, or phone. You have the ability to E-Sign which makes this whole process smooth and easy. You can save these contracts, or access them any time on-line. Also, many agents in the Denver Metro area use CTME, so it makes getting all the signatures that are needed for a transaction convenient and easy. Centralized Showing Service (CSS) is the service that I use to set your showings. Depending on your situation, it can be as easy as a “go and show”. Or, all the way to having the showing service confirm the appointment with you as you may have little ones napping at certain times, or dogs that may need to be removed. We’ll discuss options and set this up with CSS to make this as convenient as possible for you. You will be alerted when showing are scheduled via email, text, or phone call. Also, CSS provides emails to agents who have shown your home and allows for unfiltered feedback to come to you in the form of an email. Do we need to lower the price on your home? The nice thing with CSS is that I have email addresses / phone numbers of the agents who have shown your home and I can send an email blast letting them know to take a 2nd look if they thought the price was originally too high. 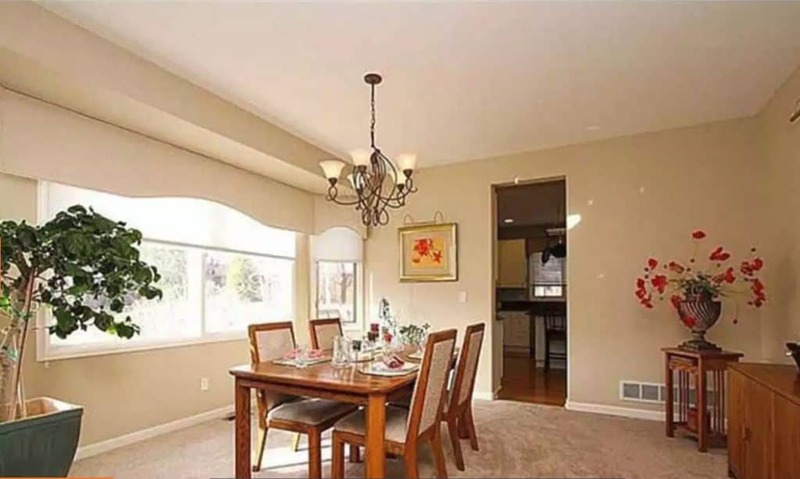 I will hire a professional photographer (Virtuance) to shoot between 25-35 pictures of your home using the latest HDR technology – a high dynamic range photography technique used to reproduce a greater dynamic range of luminosity than is possible with standard techniques. What does that mean to you? It means much better interior photographs where lighting can sometimes be tricky. 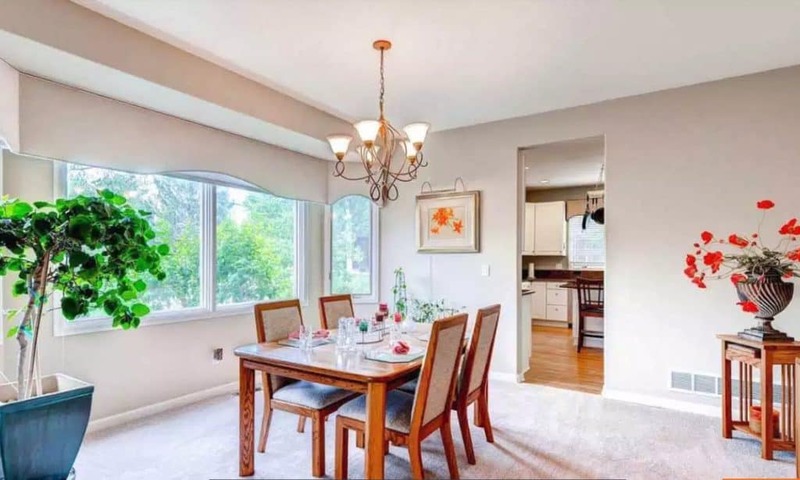 Even in lower light, HDR photographs come out crisp and clean and this makes a huge difference in whether someone decides to look at your home or pass on it after seeing pictures on-line. The more eyeballs that we can get into your home, the more possibilities of offers – simple as that. 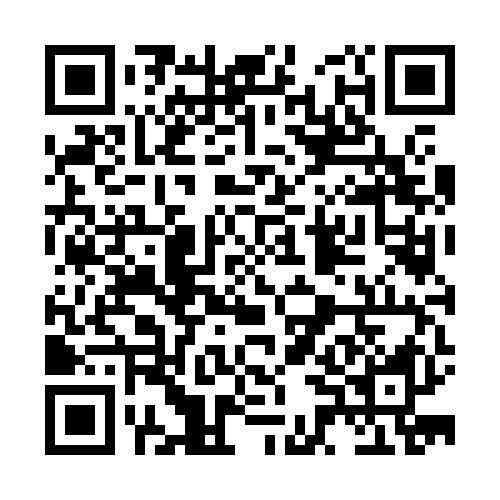 I will also be provided a Virtual Tour and a QR code with the final pictures (see #11 & #12 below). Pictures are worth a thousand words and that does ring true when listing your home for sale, but you need to back those pictures up with compelling reasons for the potential buyer to come and look at the home. While I am walking through your home taking measurements and notes, I will also be thinking about how to accentuate all the positives of your home in powerful, concise ad copy. We need to create a story around the home and neighborhood which is why I will ask you to write down why you love the home? What do you think are your home’s strongest features? What about the neighborhood do you love – are you close to a park? 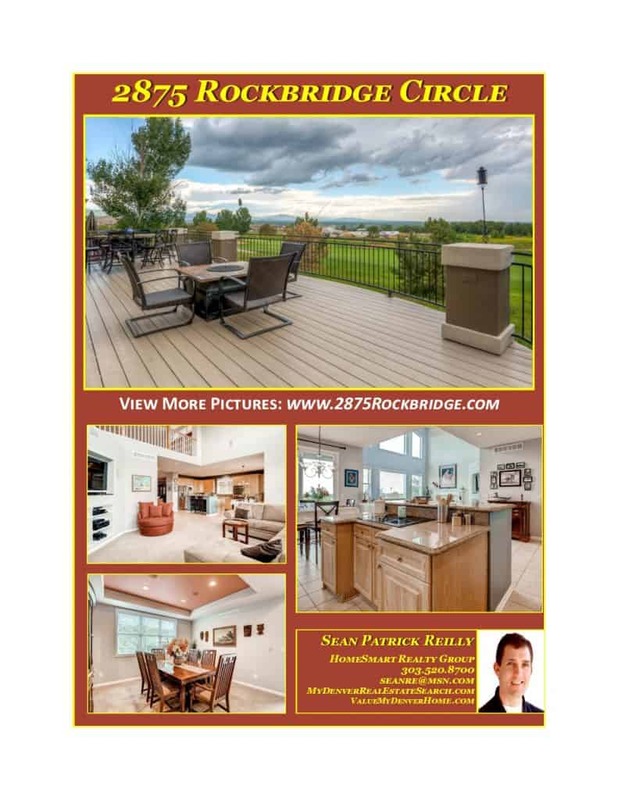 close to entertainment?, etc… Compelling ad copy and stunning pictures are the hallmarks of putting your best foot forward when listing your home. 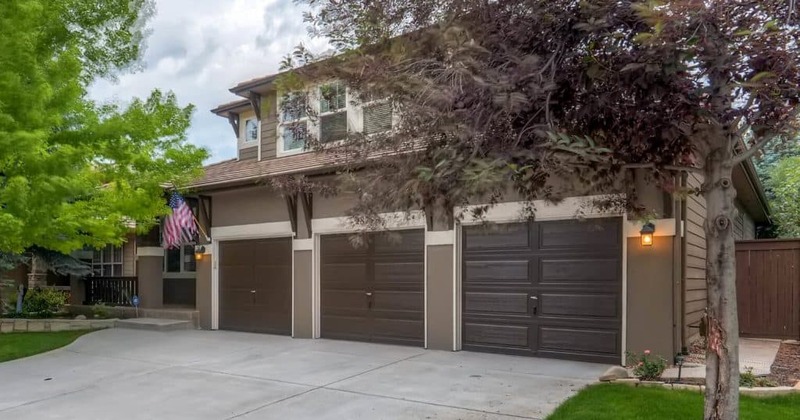 Denver Matrix MLS is the MLS system for the Denver Metro Area. This is a huge piece of what is necessary to get your home sold. 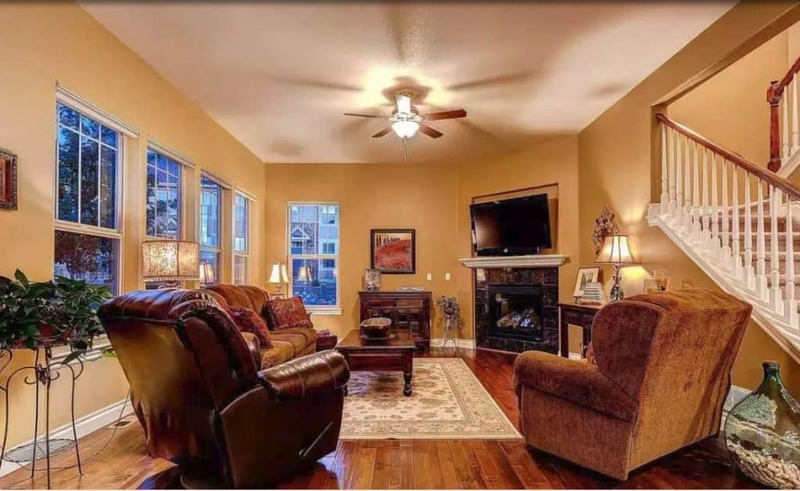 As I have mentioned above, you want to put your best foot forward, so professional photo’s and compelling ad copy should be completed before putting your home in the MLS. The MLS is the hub from where other ancillary real estate sites pull their information – if you input anything incorrectly in the MLS, this will populate to all of the other sites. You want all of the information to be correct before hitting the market. I’ll review everything a few times prior to making the listing “active” on the MLS. Your home will be everywhere on the internet. If someone is looking to buy a home and looking in your neighborhood, they will find you. First off, you will be syndicated to – syndication means that these sites will pull your homes data right after it is made “active” in the MLS. 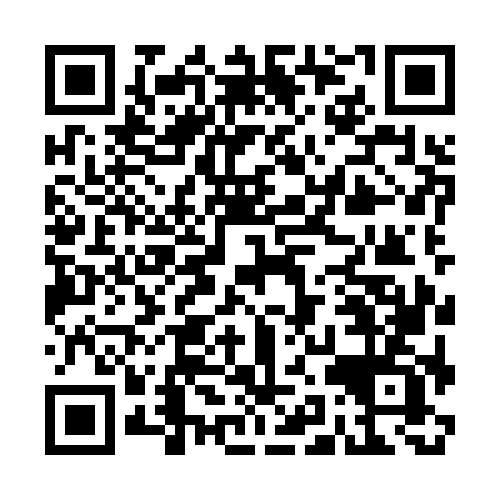 All Denver Metro Real Estate Agents utilizing IDX Web-Sites – IDX stands for Internet Data Exchange. This allows buyers to find your home on all IDX MLS sites. The more exposure to your home for sale, the more people we can get to set showings. I’ll also take this a step further and launch an aggressive FaceBook marketing campaign. This is very effective as my FB ad’s typically get a bunch of views. Even if the person is not interested, often times they like my post so it can be distributed and seen by their friends. 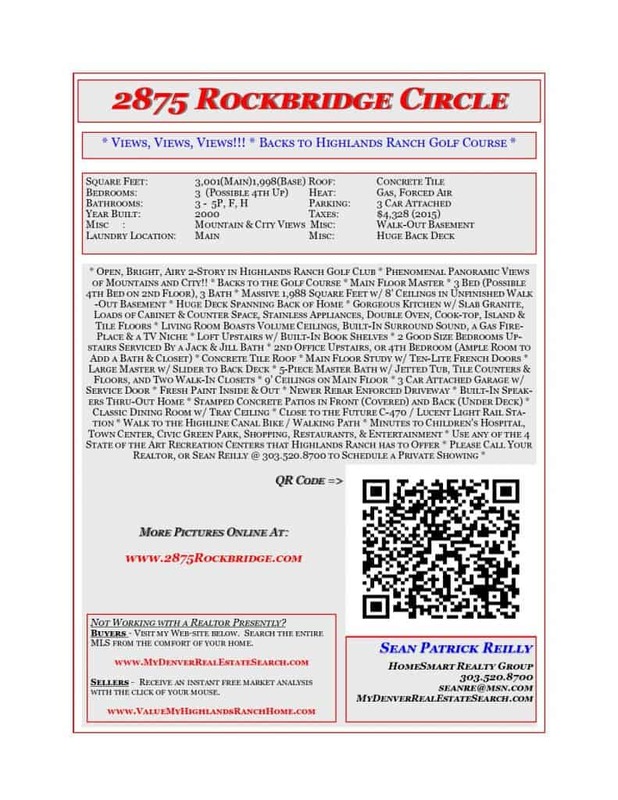 This is a solid way to get your property circulating among the masses. You will also have the ability to share this FB ad with all of your friends on all of your social media outlets as well. The more your home makes the rounds on social media, the better the chance that it will land on the right person’s computer screen. Typically, it’s as simple as youraddress.com (123Main.com) This is a digital brochure of your home with the vibrant pictures, compelling ad copy an embedded map showing exactly where your home is located. The idea is to get as many people as possible to look at this website in the hopes that they will ultimately set a showing. There are also many options for viewers of your home’s site to share with major social media outlets with the click of a button. These just listed postcards are sent to neighborhoods where there is a good likelihood that potential buyers may come from. Let’s say you are selling your home for $500,000 – let’s target people in the $375,000 – $425,000 neighborhoods who are more likely to want to upgrade to your neighborhood when they decide to sell. Or, they may be currently on the market waiting for your home to come available. There is no set numbers on how many postcards are sent out, but typically it is between 500-750. Now that we have an aggressive marketing plan in action, I will continue marketing your home in this manner until we receive an offer. Upon receipt of an offer, a new round of work begins. Is the buyer solid? I will call and speak not only with the other real estate agent presenting the offer, but I will also speak with the buyer’s lender to make sure that this is a viable buyer. Are you attaining a fair price? Do the dates in the contract meet your needs? Is there anything else that the buyer is trying to hide in the contract? I will read a contract at least 3 times and make copious notes of what I want to explain to you in regards to what may or may not happen. No contract is ever 100% rock solid (even cash offers), so I will explain everything in detail as to what to expect moving forward. Throughout the “under contract” process, I will make sure that all the contingency dates are met and that all of the ancillary documents required by the real estate commission are completed. I will keep you apprised with what I call your “next steps”. In essence, what do you need to do next to keep this contract moving forward. Ultimately, closing day will arrive and you will have sold your home. While I can’t guarantee that there won’t be a little stress along the way, I can guarantee that I will be there every step of the way lending my 20+ years of experience to make this as smooth as possible. * All Commissions are negotiable. 1% Refers to Listing Side of the transaction. This amount does not include the co-op commission for the buyer’s agent. 2.80% is the most common co-op broker commission that I’ve seen in the Metro Denver area. There are no Standard or Traditional Commission Rates.